In sum, "GO SET A WATCHMAN" bears out Thomas Wolfe's saying 'you can't go home again.' Jean Louise (better known as 'Scout' from Harper Lee's best-selling novel, "To Kill a Mockingbird") journeys back from NYC (where she has lived for some time) to her family home in Maycomb County, Alabama. It is the mid-1950s and the South is in ferment. Jean Louise has much to reflect upon and revisits different stages of her life in a Southern society that increasingly becomes too restrictive to her liking. There is family conflict that lays bare the eccentricities and contradictions in people. 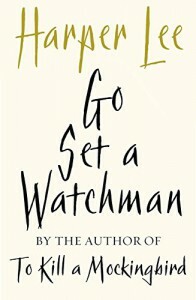 "GO SET A WATCHMAN" is not a great novel, but it was worthwhile to read as a way of getting a glimpse into a moment in U.S. history when a society based on the 'old verities' and racial segregation found itself compelled to take steps to make a better society for all its citizens.